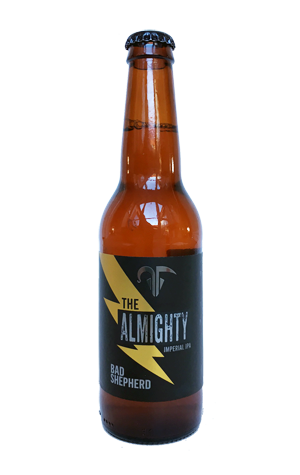 Winter 2016 saw Bad Shepherd debut its biggest beer to date. A year on, The Almighty is no longer their booziest beer – that title now lies with the Russian Imperial Stout released earlier in the year – but we imagine this returning imperial IPA is one that will have had plenty of the brewpub's fans licking their lips with anticipation. Stats wise, it's the same beer: 9.2 percent ABV and no less than a palate-pushing 100 IBU [International Bitterness Units], but we pick up some stone fruit characters this time around, alongside the piney elements from the 2106 release. There's a herbal nature to the hop flavour too in what's a pretty lean beer with a finish that's drying, boozy and warming at the same time.